You have some great options to choose from if you are looking to catch a new film on DVD this week. There are films for everyone’s taste, whether thriller, comedy or a good drama. 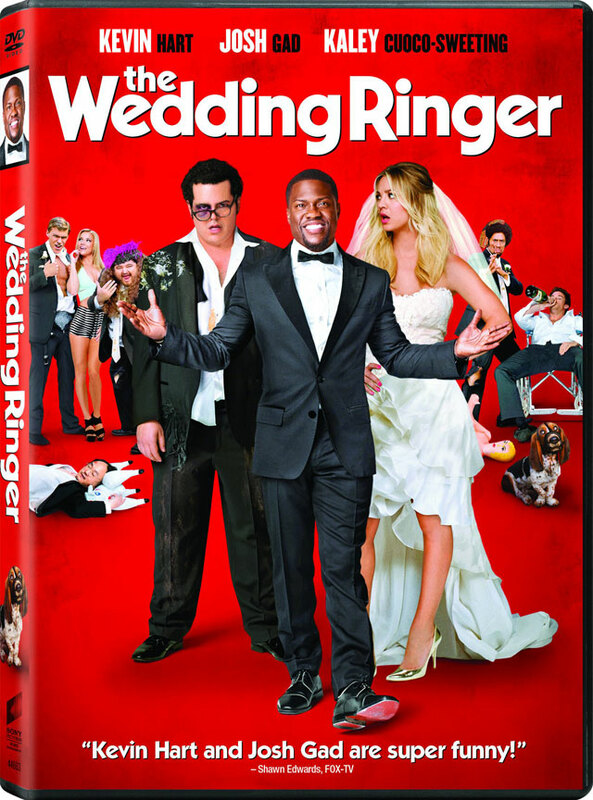 Jimmy (Kevin Hart) runs a business providing socially awkward men with a best man at their wedding in The Wedding Ringer. In this comedy, Doug (Josh Gad) finds himself in the worst case scenario and not only needs a best man but also seven groomsmen to fill his entire wedding party. Jimmy has his work cut out for him as he assembles an assortment of different men to fit the roles and tries to keep their operation a secret from Doug’s friends and family. Jim Bennett (Mark Wahlberg) is an English professor and high stakes gambler in the drama The Gambler. He loses hundreds of thousands of dollars and continues to gamble with borrowed money. When Jim borrows $260,000 from his mother to bail him out of trouble, he loses it all in one trip to the casino and finds himself a target of one of the gangsters he owes money to. After forming a relationship with his student Amy (Brie Larson), she’s put in danger and Jim must take a big risk in order to protect her and get a second chance. In The Boy Next Door, Claire (Jennifer Lopez) is a high school teacher who has recently separated from her husband after he cheated on her. Noah (Ryan Guzman) moves next door to live with his uncle and becomes friends with Claire’s son. Noah is attracted to Claire and seduces her one night. Claire deeply regrets her actions but is stalked by Noah as he becomes more and more obsessed with her. His obsession eventually becomes dangerous and Claire’s life is turned upside down. A bear from Peru has dreams of moving to the big city after his home is destroyed by an earthquake in the family film Paddington. Once the bear makes it to the train station in London he is spotted by a family who takes him in and gives him the name Paddington. Paddington causes a bit of fun chaos for the family, with the exception of the father who doesn’t want a bear in the house. Paddington’s life is at risk when taxidermist Millicent Clyde (Nicole Kidman) spots him and wants him stuffed. Taking place in Los Angeles in the 1970s, Inherent Vice is about private investigator Larry “Doc” Sportello (Joaquin Phoenix), who is asked by an ex-girlfriend to help her with a scheme. She’s having an affair with a real estate mogul Mickey Wolfmann (Eric Roberts) and wants to stop Mickey’s wife and her lover’s plan to get Mickey admitted to a mental health institution. In the comedy Nailed!, Alice (Jessica Biel) is proposed to at a restaurant moments before a freak accident causes her to get a nail stuck in her head. Since she doesn’t have health insurance, the nail is left there, causing erratic behavior. In order to get help, Alice seeks out a senator (Jake Gyllenhaal) to help her with her cause.